Certainly in this first year, there have been more triumphs than losses, which is nice. But this is probably mostly because we are still easily pleased! Firstly things actually growing, rather than dying, still counts as a result in our book. And secondly we now have the space to grow some of the vegetables that we never bothered growing before, when we were container growing in a small city backyard. 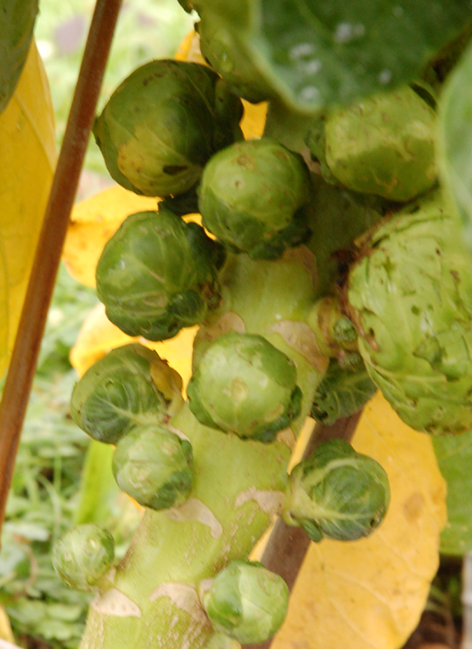 So allotment regulars like onions, beetroot, red cabbage, brussel sprouts and broad beans, may be run of the mill to most growers, but were all exciting new triumphs for us. 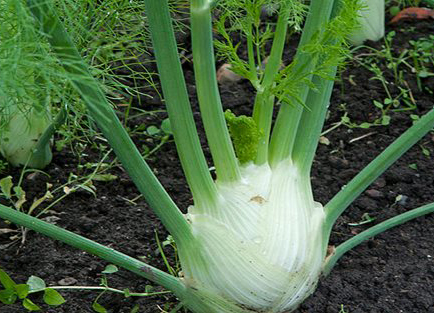 One thing we had tried growing in the backyard for several years running without success was fennel. After a friend had described it as growing like a weed in her Cornish garden, our repeated failures getting it to bulb up were all the more galling. But this year at The Secret Acre we finally triumphed with fennel. Turns out no-one had told us you really need to earth them up a bit to get the bulb up. Instead a new series of losses arose this year to give us something to work on for next season. Our first attempt at cauliflower was a big fail. Turns out you need to water them a lot at the crucial moment. Needless to say we didn’t. Also we planted our squash out far too late, a bit of a habit this year, which resulted in an edible harvest of just on small squash, but lots of late autumn foliage for the deer. Next year we are hoping to plant earlier, and the deer are hoping we won’t. And replacing fennel as our personal bête noire of the vegetable world this year are aubergines! My sister grows lovely aubergines on her balcony, but then she does have the advantage of living in the south of Spain. Nonetheless our repeated attempts to grow them under cover in recent years have met with abject failure. This year at The Secret Acre, we had high hopes, and a secret weapon. Ever the sucker for a gimmick, I persuaded Emma we should try the new ‘Egg & Chips’ plant from Thompson & Morgan. 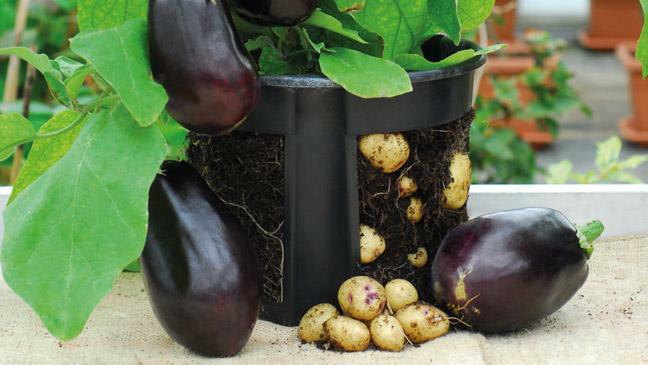 This is an aubergine-potato graft, giving you regular aubergines on top and potatoes below ground, which is exciting. Sadly, our aubergines once again failed, and a whole four tiny potatoes were harvested underneath. The plant never really established, which is definitely a reflection on our gardening skills, rather than the quality of the plant supplied! So next year, like fennel, we are determined to finally triumph with aubergines too. The first step is to finally finish the overdue repairs the greenhouse, so we can help them with a bit of proper Spanish heat next year! Watch this space for our losses and triumphs in 2017…. This entry was posted in Garden, Good Life, Greenhouse and tagged aubergines, beetroot, broad beans, brussel sprouts, cauliflower, Egg & Chips plant, Emma Alesworth, fennel, grow your own, Mary Sarton, onions, Paul Rainger, red cabbage, RHS, Royal Horticultural Society, Smallholding, The Secret Acre, Thompson & Morgan, veg beds, veg growing, veg patch, vegetables by paulrainger. Bookmark the permalink.